New one on the wall tomorrow. Broken boiler today. New one on the wall tomorrow. Buy a new boiler online by 3pm and get it installed the next day. No callbacks, no ‘quotes’ – just a fixed price that saves you £1,000+. BOXT is a UK based boiler replacement company; there’s nothing new in that, but what is new is how they go about getting your new boiler to you. Times have changed. We want the stuff we buy to be delivered straight away. Broken boiler today. New one on the wall tomorrow. They the UK’s first truly online boiler supply and fit company. It’s the brainchild of founders Alan and Mel, both former directors of well known boiler company, Help-Link. After leaving Help-Link in 2015 they embarked on a better way for people to get a new boiler. Alongside Keith Jones, the former MD of Wolseley’s Plumb Center and £3 million of investment later, boilers from Boxt was born In February 2017 and it looks like customers are loving what they have to offer. Worcester Bosch liked the company so much they now own half of it which is why Boxt is a great place to get the best deal Worcester boilers. If you need a little more capacity than the 25i then it’s slightly bigger brother should have you covered. The Greenstar 30i is perfect for a 4 bed detached house with bathroom and ensuite. Another Which? Best Buy boiler which will give you years of hassle free service. Can you really Save £1,000+? We agree it sounds like a lot but there’s no regulations on what a boiler should cost to install so it really is worth shopping around. We put the claim to the test and we could indeed find significant savings from a quick online comparison, not quite £1,000 but substantial enough to be confident that Boxt can back this up with hard facts, especially if you compare their prices to that of some big six companies. A quick online comparison between Boxt and their nearest competitors for a straight forward combi swap to a Worcester Bosch 25i revealed the following price difference. All three companies have pretty much the same offering. A Free smart thermostat, free Mag filter, long warranties, quick installation, finance and the comfort that your buying from a reputable Gas Safe company who will be around in 10 years time. Given that all thing compared are equal here the only other thing to compare is price, and on that Boxt wins hands down. They’re most likely to bend over backwards as well to help keep their near perfect review score. If you choose to get a new boiler with BOXT, you will find the process very easy to follow. Answer some basic questions on your home, e.g. how many bedrooms, bathrooms, where your current boiler is installed, choose your replacement and check out. Your new boiler will then be shipped to your home ready for next day installation by one of their Gas Safe boiler engineers. Naysayers (in particular, old school heating engineers) will tell you that you need to survey a property before advising on the correct boiler. However, their process covers all the questions any salesman will ask so there’s little chance of getting things wrong. Should you want any help, you can always call them. 24 hour installation is highly appealing if your without heating or hot water. Fixed Price Boilers with No Surprises. It’s almost too good to be true as their prices are extremely competitive when compared with national installers. Most of these selling points are available from other companies but what is extraordinary, especially from an online process, is that they offer a fixed price. This means that the price will stay the same no matter what unforeseen problems might occur during installation – you won’t get that from your local plumber. Once you’ve completed the form on the website, selected your boiler package and booked your installation date, you have a number of ways to pay. BOXT uses Divido to power online payments so you can feel safe in the knowledge that their platform is secure. If you want to pay for the boiler in full BOXT will accept any of these cards: Visa debit or credit, Mastercard or American Express. Although BOXT prices are great value the average home is still going to be on the receiving end of a bill for around £2,000, so paying monthly is the preferred option for many of us. As with the rest of the website the pay monthly option can be completed online. Simply select finance at the checkout; you’ll spend a few minutes getting credit approval via Divido’s website before completing your boiler purchase. You can choose how much you want to leave as a deposit (between no deposit and up to 50%). The more you leave the less you’ll have to pay each month. There are 2 options for the length or the credit you want: 5 or 10 years. Regardless of how you choose your finance package the interest rate is fixed at 9.9%. APR. When you purchase a boiler with BOXT, two things will happen. Firstly, your boiler will be dispatched via courier to be delivered on the morning of your selected installation date. While that’s going on one of the BOXT engineers has been booked to arrive on the same day to install the boiler. By separating the two processes there’s less chance of any delays in getting parts or your boiler engineer being a no show. BOXT will take away your old boiler (unless you want to keep it) and recycle as much of it as possible. The exception here would be if you have a back boiler as this would just be capped off and left where it is. BOXT Reviews – What! No Bad Reviews? The sceptical among you might scoff at a near perfect score on Trustpilot as smelling of fake online reviews left by staff members and hired hands. But you’d be wrong, the thing to look for with Trustpilot is that reviews have come from verified orders – this means the reviews have been requested by the company with a special link once the customer has actually used a service. To have 9.9 /10 and over 2,600 5-star reviews in just over 2 years speaks volumes as to the service they provide. Even the most sceptical can’t deny they must be doing something worthy of such praise. There’s very little they don’t cover when buying a new boiler. Low prices and convenience do have to be paid for somewhere, so here’s a short list of what Boxt can’t do. Unless you’ve got a good relationship with your local heating engineer then BOXT offers everything you would want from a boiler installation company. Their prices are low, you get reliable boiler brands, extended warranties and the latest Honeywell smart thermostat thrown in for good measure. If your boiler packs up during the winter, getting it replaced can be a tiresome affair as boiler engineers are usually booked up. 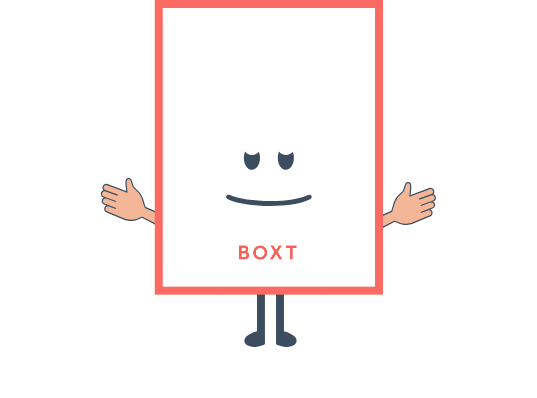 With a promise of next day installation and multiple ways to pay, we’d be hard pushed not to recommend BOXT.